On a salt lake in Central Australia early next year a radio amateur will conduct tests of a wide area radio network destined for the planet Mars. Robert Brand VK2URB, of Thunderstruck Aerospace, reports that it is an essential part of a project to develop the Mars Nano-Lander and Methane detection system called MEDIAN, set to land in 2025. Approval will be sought from the Australian Civil Aviation Safety Authority for use of the air space for the test. The project calls for 10 separate penetrators to be ejected from the jettisoned heat shield at about 6km from the surface of Mars. They are to spear into the surface of Mars and form a ring about 8km wide. The radio systems will begin measuring distance between the other landers and map the network. Robert VK2URB says they will then switch to a random packet mode and begin sending messages to an orbiting craft. Even the orientation of each probe covering an area around the size of a small city, will be detected and used to calculate the direction that wind, and hopefully any methane, on the thin Martian atmosphere. Robert VK2URB says that the audacious mission is a joint project with the UK Methane detection group at the University of Central Lancashire, and the Australian Thunderstruck Aerospace team. Robert is the design architect of the landing system, the mapping, orientation, communications, data relay, and the on-going non-methane science package. He says that never before has a network of probes been landed anywhere outside of earth and have impactors with the intention of surviving the process. 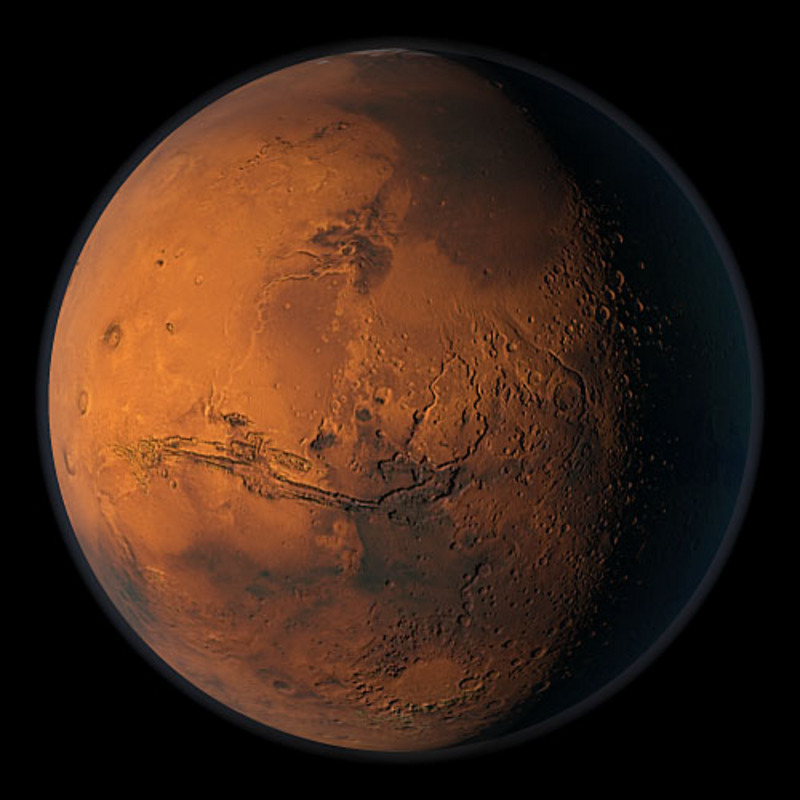 The possibility of microbial life on Mars has been discussed by scientists since the presence of methane gas on the red planet was found several years ago. MEDIAN will map possible methane vent locations for a rover to investigate. If the rover fails to land, the project will still relay local weather and subsoil information back to earth. It's expected that the tests in Central Australia will demonstrate the essential role that radio will play in mapping, locating, orienting the network and then relaying data around the network. The tests will involve dropping a simulated heat shied from 3km altitude and having the impactors fire at 2.5km feet to simulate the impact that each would have on Mars. Even the orientation of each probe will be detected and used to calculate the direction that wind is coming from in the thin Martian atmosphere. The penetrators will stay vertical and elevate the science and radio package about a metre off the surface allowing for better radio connectivity and clear wind profile. A metre diameter solar panel will provide adequate power and the network is expected to survive for at least six months on Mars relaying weather and sub-surface information. An expected seven of the 10 spikes will survive the impact. Ham radio will provide essential communications for the tests and for the event. It is hoped a special event around the testing will attract the interests of radio amateur worldwide, and focus attention of the role that Australia is playing in Space Missions.